Are researchers scared of bursting the unconditional cash transfers bubble? ……. An increasing number of studies show short-term effects of cash transfers dissipating over time, at varying speeds of decay. But, more on that below… What did surprise me is that I had to read the transcript of the interview to find out about this new finding (no working paper yet, it seems, but here is an abstract). No one was tweeting about the massive four-year effects disappearing: remember that women almost doubled their income compared to the control group five years earlier. It’s not news that these effects are gone? Give Directly and the research agenda around their interventions have been great for showing the many ways in which targeted welfare provision can be structured to increase levels of household consumption and investment. I am curious to see the economic impact of their UBI project being rolled out in Kenya. Also, I don’t think that they would deliberately under-publicize unfavorable research findings — see here. Looking forward to the full range of research findings from their previous interventions. In addition to increasing household consumption (direct cash), we should also be thinking about ways to improve the provision of public goods and services — perhaps by doing the two together. The other implication here (attributable to Justin Sandefur) is that may be cash transfers would work if they were part of a permanent welfare system. But are the Malawis of this world (fiscally and politically) really ready for this? Should Malawian policymakers instead be spending their precious time worrying about agricultural productivity and getting their jobless youth into factory work? All to say that more research is needed on cash transfers, especially with a focus on the political economy implications of such policy proposals and in conjunction with some public goods component. The Tsogolo La Thanzi (TLT) project http://tsogololathanzi.uchicago.edu/ is seeking a post-doctoral scholar with interest in fertility, reproductive health, and the life-course and experience with data collection in developing countries. The candidate will have PhD degree in sociology, demography, or a related social science in hand for a start date of August 1, 2017. The position is located within the Division of Social Sciences at the University of Chicago and funded by NICHD R01-HD077873. Candidates will have the opportunity to forge intellectual ties with the African Studies Workshop, the Population Research Center, and the Center for International Social Science Research but should be prepared to advance an independent research agenda and draw upon TLT data resources. Salary is commensurate with NIH post-doc levels, and some additional support for conference travel and fieldwork is available. Applicants must be Citizens or Permanent Residents of the United States at the time of application. A review of applications will begin by January 31, 2017 and will continue until the position is filled. Malawi has led the way, with life expectancy at birth rising 42 per cent from 44.1 years in 2000 to 62.7 in 2014, according to data from the World Bank. Zambia and Zimbabwe have both seen rises of 38 per cent over the same period, with longevity in Rwanda, Botswana and Sierra Leone up more than 30 per cent. Uganda, Ethiopia, the Republic of Congo, Niger and Kenya have all witnessed rises of more than 20 per cent. Overall, of the 37 countries to have seen life expectancy rise by more than 10 per cent since 2000, 30 are in sub-Saharan Africa, including the 15 with the biggest gains, as the table below shows. Not one sub-Saharan country saw life expectancy fall between 2000 and 2014. Public health for the win. The full FT piece is here. ……. Analysis is shaped to suit the audience, and scholars end up speaking their language. Rather than evidence-based policy, there is policy-based evidence-making [emphasis mine]. The paradigm of this is engaging with western governments, the World Bank or the United Nations. Much of the policy-related discourse on good governance, post-conflict reconstruction and development takes place in a fantasy land that exists only in the minds of international civil servants. A little bit harsh, but not completely off the mark. As I’ve written before, we need to make a distinction between research that is meant to inform policy in specific contexts, and that which is designed to generate general knowledge (and perhaps most importantly, for reviewers). What is good for reviewers is seldom useful for policymakers. That said, I don’t think the burden to produce policy-relevant research (for African states) should be on scholars based in the West. Africa-based scholars are the best placed to produce policy-relevant research in their own countries. They are the ones who are best able to grapple with the policy judgement calls that often require one to take political positions. Foreign researchers have to worry about research permits (for themselves or their sponsor donor agencies) and therefore have strong incentives to recommend “politically neutral” and “technical” (read apolitical) policy solutions. Of course not every researcher conforms to the type suggested here. But there is no denying that foreign scholars face slightly different incentives than their domestic counterparts. Where there might be some mileage on this front is with the “public sector” research arms of the World Bank and the African Development Bank. …… the structure of academic rewards and careers systematically disadvantages those who do not have the skills or capacities for this kind of high-end quantitative endeavour or have serious misgivings about it. This causes severe dissonance between actual lived experience and the academic work that is validated by universities. … Supervisors in foreign universities rarely have the subject matter expertise, so they tend to guide students towards more theoretical approaches. Examiners and peer reviewers likewise reward and reinforce their own disciplinary biases. On the other hand, it is common to see junior Western scholars doing rather uninteresting quantitative studies or superficial case studies. Despite their shortcomings these studies are published. These scholars, then, become the group that undertakes peer review. The African scholar of political science may be compelled to adopt a schizoid personality. To become an academic in a Western university she or he may be obliged to unlearn important knowledge, and learn frameworks and skills that are actually irrelevant to the situation at hand but are necessary for being considered a professional academic. Here I think de Waal moves dangerously close to endorsing “African Exceptionalism.” It is almost as if the African grad student shows up in grad school imbued with unique knowledge of the Continent that is inaccessible to their potential advisers and colleagues. Also, I don’t think the study of Africa should be pigeonholed as existing outside basic rules of evidence-based policymaking and properly identified causal stories. Despite the enduring allure of the idea, Africa is not exceptional. As a social scientist, my knowledge of Kenya is largely informed by my experience as a Nairobian. Over the years I have had to learn a lot about the rest of Kenya, in much the same way an Australian would. In doing so I incurred a lower cost than a hypothetical Australian would, for sure, but the cost was not zero. The point here is that it is not necessarily true that I have an innate ability to *know* Kenyan politics better than an Australian ever would if they invested the time and effort. And who is to say that I would necessarily be able to articulate a research agenda on whatever subject in Malawi better than a Southern Californian? What proportion of Kenyans can locate Bangui on a map? In my view, much of the handwringing about the methodologies employed in the study of the Continent misses the point. The problem is not that Western academics are asking the wrong questions, or that certain methodological approaches are privileged over others. The real problem is that there is a limited pool of high quality Africa-based scholars. Increasing the pool of talented Africa-based researchers would boost the variety of perspectives and methodologies employed in the study of the region — to the benefit of all involved. This can be achieved by providing better funding opportunities for African universities and incentivizing high quality research by Africa-based faculty. Do African leaders have a voice? These days, well-behaved African heads of state are rewarded by Barack Obama with the chance to meet with him in groups of four and have their picture taken with him. It’s like meeting Beyonce, but you get to call it a state visit. That’s what happened on Friday when Malawi’s Joyce Banda, Senegal’s Macky Sall, Cape Verde’s José Maria Neves and Sierra Leone’s Ernest Bai Koroma were paraded before the White House press corps, sitting in star-struck silence as Barack reeled off a kind of wikipedia-level roll-call of their accomplishments. They beamed like competition winners. It was all very feudal. ….. The East African called it as they saw it: “The meeting was to reward them for their support for US interests in Africa.” Though some others wanted to be there. In Uganda, some sites were wringing their hands over why Museveni hadn’t been invited. The post raises an important question especially with regard to the recent rise in African assertiveness. Most of this has been restricted to elite circles with regard to the ICC and general Western meddling presence on the continent. Among the many posts I hope to write soon – the dissertation and life permitting – is one on African IR (yes, African International Relations). For a very long time the Continent has engaged the world in disaggregated terms – mostly as a result of individual weakness. But recently some countries have realized their power (For instance Uganda and Kenya in their military and diplomatic usefulness, respectively) and are more than willing to exercise those powers. The realization of individual power has also catalyzed a tendency to use the regional bloc – the AU – as a leverage in wider international engagements (I expect Kenya’s president-elect Uhuru Kenyatta to use the AU a lot in dealing with the charges he faces at the ICC). And among the African elite I expect a new sense of self-confidence, with calls like these to become louder and more common. Whether the Western governments (and regular Western Africa watchers) will adapt fast enough or be caught flat-footed is still unclear, especially after the ill-considered and tactless obvious attempt to influence the outcome of the Kenyan election. Also worth considering is whether this new-found African assertiveness will result in actual progress and attempts at catching up with the developed world or turn out to be a mere echo of the empty rhetoric of African pride – a la Zaireanization – that was championed by a kleptocratic navel-gazing African elite of decades past. HIV self-testing showing promising results in Malawi. Kenyan legislators, who make upwards of $175,000 a year, now have $3000 chairs to snooze on. This sad event in Zambia adds significance to my planned fieldwork there in the coming year on Chinese-African relations. Will Joyce Banda become Malawi’s next president? UPDATE: The New York Times is reporting that Malawi’s vice president, Joyce Banda, was sworn in as president on Saturday, ending a tense 36 hours of speculation and confusion about the future of one of central Africa’s most enduring democracies after the death of President Bingu wa Mutharika on Thursday. UPDATE: government broadcaster MBC officially declared his death in the past hour. The Office of the President and Cabinet has also stated that the constitution will be followed with respect to succession (H/T dada Kim Yi Dionne over at Haba na Haba). The passing on of President Mutharika in Malawi raises important (and interesting) constitutional questions surrounding the issue of succession. The constitution says that the Vice President should take over in the case the president is dead or incapacitated. This means that Ms Joyce Banda is entitled to the presidency. But Ms Banda fell out with President Mutharika in 2010 and has since been kicked out of the ruling party. Mutharika then imposed his brother (legal academic Peter Mutharika) on the ruling party and declared him the party’s candidate in the 2014 election. The younger Mutharika has been the one stepping in for the president instead of the VP. As a result the delay in declaring the death of Mutharika in Malawi has been rumored to be because the cronies of the president are looking for ways to deny Ms Banda automatic ascendancy to the presidency, and a head start in the upcoming presidential race. So will Ms Banda be able to ascend to the presidency? My answer is Yes. And I have two reasons. First, the fact that Mutharika could not fire Banda is evidence that the idea of an intra-family succession was not completely accepted by the Malawian political elite, including those from the president’s own DPP. The president’s party got 59% of the vote in the 2009 legislative elections and could have easily engineered a vote of no confidence (impeachment) against the VP or a constitutional amendment to deny the VP automatic succession (Mutharika and/or his brother should have acted on the inside information on his health situation). Second, the DPP is more divided than Mutharika’s almost auto-coup led on. For instance, part of the reason why the constitutional route was not taken to fix Ms Banda is because the speaker of Parliament, Hon. Henry Chimunthu Banda (no relation to Ms Banda) has ambitions for the presidency. The government of Malawi has not officially declared Mutharika dead yet. But when they do I suspect that Ms Banda is most likely to ascend to the presidency. The Daily Nation reports the passing away of Malawian President Bingu wa Mutharika (May he rest in peace). 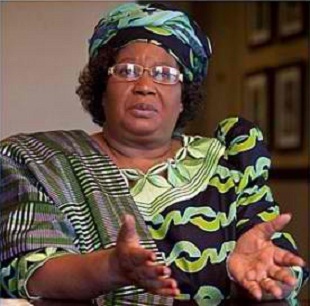 Vice President Joyce Banda is next in line to run the country, according to the constitution. But her succession to power could create new political tensions, because Mutharika kicked her out of the ruling party in 2010 as he chose to groom his brother as heir apparent instead of her. The official silence has heightened anxieties in Malawi, which has seen growing discontent with Mutharika’s government over the last year. Rights groups have accused Mutharika of mismanaging the economy and trampling on democracy. Mutharika’s death is a trend that will continue in the next couple of years; of Africa independence-era leaders passing on due to natural causes. The last time I counted about six current African presidents were born after 1959. This number will only go up in the next couple of years. Hopefully, this will mean a new crop of competent leaders without the baggage of the anti-colonial movement and with enough confidence to chart a new course for their respective countries rather than merely trying to recreate what their dad’s bosses had back home. This is not to say that younger leaders will automatically be better. Gambia’s Jammeh and the DRC’s Kabila are constantly redefining the possibilities of youthful mediocrity in important leadership positions. The looming generational change of guard will mostly benefit the few African states (like Malawi, Kenya, Senegal, Tanzania, Zambia, etc) that avoided the scourge of the junior officers in their political history. President Macky Sall of Senegal could prove to be the first of this new generation of leaders. The world marathon record is back in Kenya, where it belongs. Zambian Economist has nice maps showing the results of the just concluded general elections. (Dada) Kim on Haba na Haba has a story on the continuing decline of Malawi into overt and brutal dictatorship. President Bingu wa Mutharika recently appointment his wife and brother to the cabinet. This reminded me of this paper on the inefficient extraction of rents by dictators. President Zuma of South Africa still hasn’t established his dominance within the ANC (and probably never will). The drought in the Horn has thus far claimed 10,000 lives. The Bank is increasing its aid package to the region. Mau Mau veterans allowed to sue the UK government for atrocities committed during Kenya’s independence rebellion. The court might have just opened a pandora’s box for a whole lot of lawsuits. Kim on the ongoing protests in Malawi. Kenya’s Daily Nation reports that at least 12 people have died in the protests over the last two days. Pardhan on the limits of the NGO movement in global development. Some cool graphics showing the cellular connection map of the US. The US will, after all, be sending humanitarian aid to Al-Shabab controlled areas suffering the ongoing famine in Somalia. I hope this does not turn into a farcical repeat of Ethiopia in the 1980s. Back then food aid was used as a weapon of war by both government and Meles Zenawi’s rebel forces. Lastly, remember Glencore? The firm that has been involved in not so clean mineral deals in the DRC? Well, they are now in South Sudan. I hope Juba doesn’t go this route. You can’t stay clean while playing with someone covered in mud. The African Union Summit in Uganda resolved to send an additional 2000 troops to Somalia. 5000 Ugandan and Burundian troops are already stationed in Mogadishu to prop up the beleaguered transitional government. The same summit resolution also sought to change the rules of engagement to allow AU troops to preemptively attack suspected terrorist al-Shabab strongholds. Nice and dandy, except so far we can’t make much of Museveni’s threat to take the fight to the Somali insurgents. There are no details as to where the additional 2000 troops will come from within the region. Ethiopia and Kenya share porous borders with Somalia and have large populations of ethnic Somalis and so are highly unlikely to send troops. Tanzania’s large Muslim population may not take well the idea of their troops in Somalia. My guess is that the additional troops will come from either Uganda, Rwanda and/or Burundi or some country from farther afield. At the same summit current AU chairman President Bingu wa Mutharika of Malawi took fault with the ICC’s indictment of the genocidal Sudanese president Omar al-Bashir. This is yet another proof of what kind of club the AU is. I may not fully agree with the political wisdom behind the indictment of a sitting president (because sadly, justice is highly political) but the likes of Mr. Mutharika should visit Darfur and UN camps in eastern Chad before defending al-Bashir.